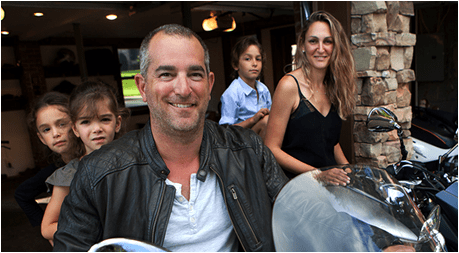 Sitting in his office chair – a race car seat on swivel wheels, naturally – Roland Linder draws a visitor’s attention to a black and white picture of a much younger version of himself involuntarily dismounted from a speeding motorcycle. But ask him how many crashes he had over a 10-year motorcycle racing career, the 66-year-old native of Belgium answers with a dab of racing philosophy rather than a number. A world traveler who raced motorcycles in Europe before moving to the United States in 1980 to race GT and GTP cars (LeMans-type cars) and run a driving school, Linder settled down just outside Columbus in Polk County 10 years ago, accompanied by his wife of 48 years, Helene. Linder last raced cars professionally in 2012, his team coming in second place in the 24 Hours of Virginia endurance race. He did not slow down, however. Linder remains much in demand as a driving coach, working at times for big companies such as Mercedes Benz and Ferrari, but he also runs his own driving school. The clients are usually the uber-wealthy who can afford a Ferrari Enzo or Ford GT but don’t really know how to drive it – “Double clutch, matching RPMs, that sort of thing,” Linder explains. It does not always go smoothly. In 2006, a client driving his own $1.6-million Ferrari Enzo in a road race in Canada got a little squirrely in a turn, gave the monstrously powerful car too much gas and ended up in the ocean. The driver and Linder, coaching from the right seat, were unhurt, although the owner’s pride suffered. In 2002, Linder got his shoulder torn out of the socket when another client struck a wall. Clearly, this is not a career for the risk-averse. While Linder, a bit stooped but still remarkably fit for his age, freely admits to myriad motorcycle mishaps, he prides himself on being a safe, albeit incurably lead-footed high-performance car driver, whether it’s a Vintage Jaguar or a McLaren super car capable of hitting 200 mph. He’s also had a long-running love affair with motorcycles, growing up racing friends on a scooter for the equivalent of five bucks. 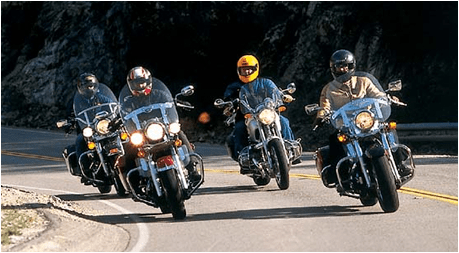 His first real motorcycles were gleaming American monsters, Harley-Davidsons. At different points he owned Harleys from 1943, ’53, ‘75, and ’79. Linder grew up in an orphanage, running away at one point and working at a gas station in his late teens. At 18, he secured his professional motorcycling racing license and began a successful 10-year odyssey on European road races. Back then, they’d simply close the roads in a town and race. From 1968 to 1975, Linder worked as a mechanic for Le Mans racing teams, his Porsche-sponsored team winning the GT class twice. As he talks, his cell phone rings – not a normal ringtone but rather the sound of a Ferrari screaming through the gears at breakneck speed. 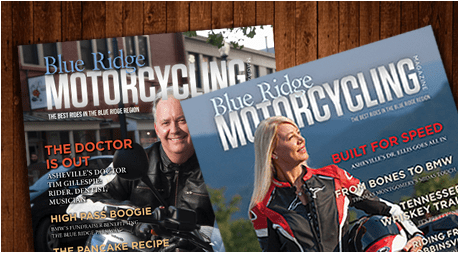 Linder also enjoyed success in the United States, living in Colorado and competing and placing in the money in endurance road races and other events, including rallies in Texas, Virginia, Nevada and his home state. Over the years, he made most of his money from sponsors, as “a hired gun” driving for the big companies when needed, and running his driving school. While his affection for his first love, motorcycles, never waned, Linder’s body did. In the early 1990s, he sold his collection of street bikes. A few minutes later, the screaming Ferrari ring-tone goes off again, and this time it’s Linder’s surgeon. They discuss Linder’s arm and shoulder pain and agree it’s time for another surgery, partly because his right arm has been killing him, partly because he wants to keep riding. Yes, motorcycles. Of course he got back into riding. Three years ago a friend and former teammate – Linder points to a guy in a yellow Porsche on his wall of pictures – gave Linder his Harley Road King. 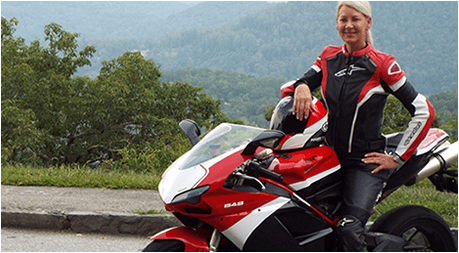 The Belgian also got a nudge from Dr. Laura Ellis, an Asheville resident who took up motorcycle racing nearly five years ago and now owns her own team. Linder says she “talked him into riding again,” letting him get out on a track by himself. Ellis took Linder to a dirt bike track in Tryon and let him ride her KTM two-stroke 250. “He blamed me on that day for him getting back into motorcycles,” Ellis said with a laugh. She suspects Linder wouldn’t have stayed away forever. She describes him as a charismatic but not arrogant guy, a racer the fans have always loved because he has the common touch – and talent. Motorcycle racers come in two forms, Ellis maintains, those with a modicum of talent who bust their butts to get better, and those who work hard but are gifted with “an amazing cerebellum,” the part of the brain that controls balance. While immensely talented, Linder has never been unbearable about it. Ellis says he’s likable and fun, and that goes a long way with fans and clients. But he doesn’t have a lot of outsides interests beyond going insanely fast on motorized vehicles. Well, there is the mowing. Yes, Linder mows for a lot of widows in Columbus, mainly to keep busy. Sure, he rises at 4 or 4:30 a.m. most days and works on his bikes in home workshop, but when he doesn’t have a driving school gig or a corporate coaching event, he’s got to fill those days. Ask him what his other hobbies are, and Linder makes a zero sign. Naturally, he pushes the riding mower to its limits. “I mow fast,” he said. Linder also rides a lot, having reprised his street bike collection. In his corral now are a 1982 Honda Ascot, a ‘78 Honda CV 750, a BMW Dakar, a 2000 Harley Dynaglide, a 2001 Harley Road King and a BMW R1200. At times, he reaches directly back to 1965, wearing a leather jacket he bought that year that still fits him. Linder has his own gym and keeps himself fit. He went to Sturgis this summer, and he ventures out on local roads frequently, even after a hip replacement surgery on May 2. “I had surgery, and two weeks later I was on my moped. Four weeks later I was on my motorcycle. Six weeks later I was driving a Formula 5000,” Linder said. He’s also staying busy with the driving school. His goal in teaching inexperienced drivers with powerful cars is simple. As Linder says, “they have a checkbook, but they have no knowledge.” They do, however have the common sense to come to a driving school. Some just assume that high-speed driving really requires no special skills. He’s taught hundreds, and that sense of self-preservation is key. His, obviously, is on the outer edge. That’s really what Linder’s life has been about – avoiding that comfort zone.